As I'm sure you can remember, earlier this month, Kanye West accepted the Video Vanguard Award at the MTV Video Music Awards. It was a well-earned honor, one that the rapper accepted with typical Kanye flair. During his speech, he touched on a lot of important (and many not-so-important) points, but there was one throwaway comment we all sorta laughed off... until now. West mentioned to the VMAs crowd that he was entering the world of politics and aiming for Obama's spot during the next election, and pretty much everyone assumed it was a joke. Turns out, it wasn't, and in an interview with Vanity Fair, it was confirmed that West actually plans to run for president. Anyone can run for political office if they have the money to finance a campaign — Donald Trump has proven that — and West certainly fits the bill. He's also passionate about issues facing Americans as a whole and the black community in particular and has always been vocal about the changes he'd like to see in the world. What better way to enact those changes than by taking on the highest office in the land? 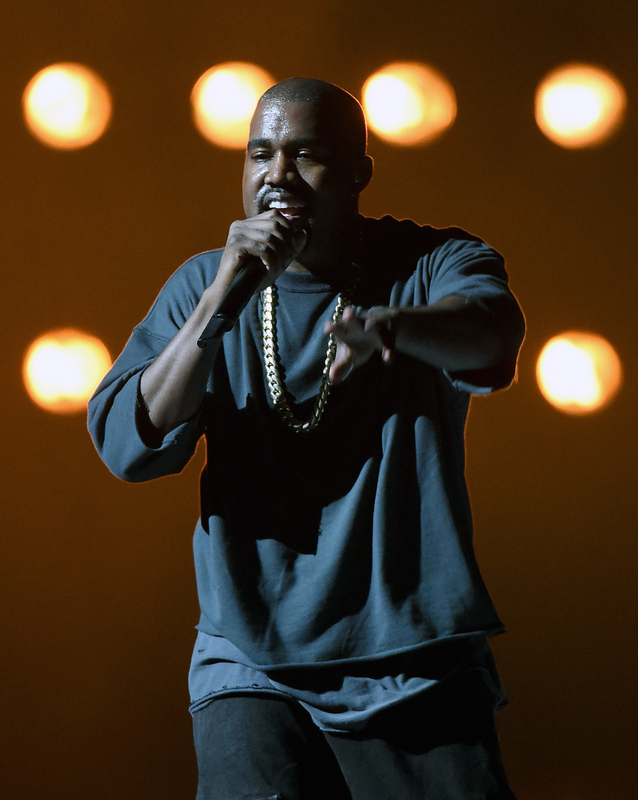 If Kanye does indeed decide to run for president, he'll need a catchy slogan to get voters excited. Thankfully, his Vanity Fair interview had plenty to choose from, so without further ado, I submit nine possible choices for the Kanye West 2016 campaign slogan. I can't wait to see which one he picks. "The only concrete plan is that I plan to use concrete." I get what West is going for here — he's being figurative and pointing out that while he doesn't quite know the particulars just yet, he's going to make changes that are going to be tough and relatively permanent. Or maybe I'm just trying to find meaning that isn't actually there. In any case, it gets you thinking, doesn't it? "I want the whole world to accept me and I want the whole world to accept each other." That's a wonderfully kumbaya way of looking at the world, but maybe that's exactly what we need. We've all grown far too cynical, and at the end of the day, most of our problems would be solved if we accepted and understood one another and agreed to let each other live life the way we want to (so long as we're not hurting anyone else). "I want to work with you." To be fair, this is part of a larger quote — Kanye doesn't want to run against any fellow presidential nominees, he wants to work with them to come up with the best solutions for America. "I want everyone to win. When I run for president, I’d prefer not to run against someone. I would be like, 'I want to work with you.'" Again, this is never a bad idea to have. No one person has the right answers. A bunch of people could come up with a workable plan together! "I hate politics. I’m not a politician at all. I care about the truth and I just care about human beings." You might think it wouldn't be very smart for an aspiring politician to say he's not one and that he hates politics as a whole, but this could be his best move yet. We're all sick of the status quo and the political system as it stands just isn't working. Kanye could be the anti-politician! "I think sweatshirts are the way of the future." Why would this make a good presidential campaign slogan? I'm not sure, to be honest. What I do know is that I love sweatshirts and think more presidents should wear them. Have you ever seen Obama in a sweatshirt? I mean, sure, maybe not during a national address, but loosen up a bit! President West would. "Just mark my words. Mark my words like Mark Twain." Well, okay! Mark Twain is one of the best fiction writers in history, so I suppose what Kanye means is that he wants to leave an indelible mark on society? If that's the case, fair enough and consider those words marked! "A lot of times I feel like Will Ferrell in the movie Elf. You know this big guy that wants to [join in] and his hands are a little bit too big..."
Don't ask questions or try to understand. Everyone loves Christmas, and everyone loves Elf. I'd vote for that! And haven't we all felt like that from time to time?